Swiss Ladies Dubai was initiated in 2004 to organise meetings for all Swiss ladies resident in Dubai. It is our deeply held desire to create a forum and platform to share experiences and mutual interests in an informal, constructive and positive way. 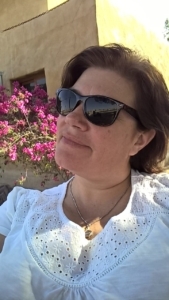 “Where can I connect to the Swiss community?” This was the question I asked myself when I relocated form Zurich to Dubai in 2012 with my husband and two sons. To engage in the “Adventure Dubai”, I gave up my job as a TV presenter and journalist for SRF2, a job I loved and enjoyed for 10 years. Even though it’s easy as an expat to quickly establish relationships with people from different cultures and backgrounds, it was important to me, to somehow stay connected with my Swiss roots and every now and then connect with my Swiss culture. And that’s how I learned about the “Swiss Ladies Dubai”. 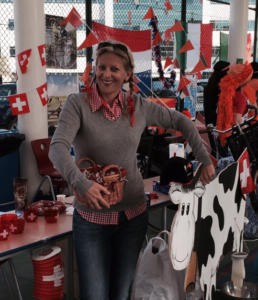 Through this community and their various events, one can beautifully connect to other Swiss expats and build friendships. I am very much looking ahead on my new engagement as the president and will step in the footprints of Martina Boessow, who passionately occupied the presidency and coined the “Swiss Ladies Dubai “ for the last 10 years. I hope, that we as the “Swiss Ladies Dubai” can help other Swiss women to get a grip of the Dubai life, can create new friendships, support and stay connected. Kerstin will support and assist our new President Jeanette Macchi in technical and financial matters. She lives in Dubai since 2006 and is a mother of two children. 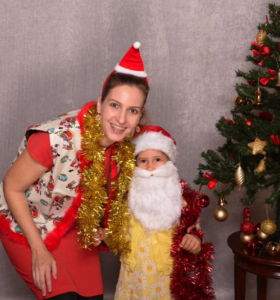 Daniela leads the team that organises our highly popular annual Santa Events. The events have grown from year to year and become special occasions for Swiss ladies to celebrate with their families. Nicole Bürgi arranges our Ladies Night Out events bringing together Swiss ladies for a culinary evening. Once a month she chooses a different restaurant throughout Dubai. Nicole moved to Dubai in 2007 with her husband and two girls.